'What, who would book a city break to Swindon . . ?' I hear you cry. Well, regular readers will know that the usual Evans skinflintyness trumps all other considerations, so when I announced to S that we were going away for a 'Spa Weekend' I declined to reveal the complete details . . . I exaggerate of course. . . we are ensconsed in a rather nice conference centre with gym, pool, sauna, jacuzzi and steam room - enough to offset even the most vociferous objections - which is, in fact, loacted outside Swindon itself, on the ancient Ridgeway. So, today, knowing S's dislike of time-trialling down dual carriageways, I took her on an off-road excursion down the aforesaid ancient route, in the tracks of generations by our Bronze-age Celtic ancestors. 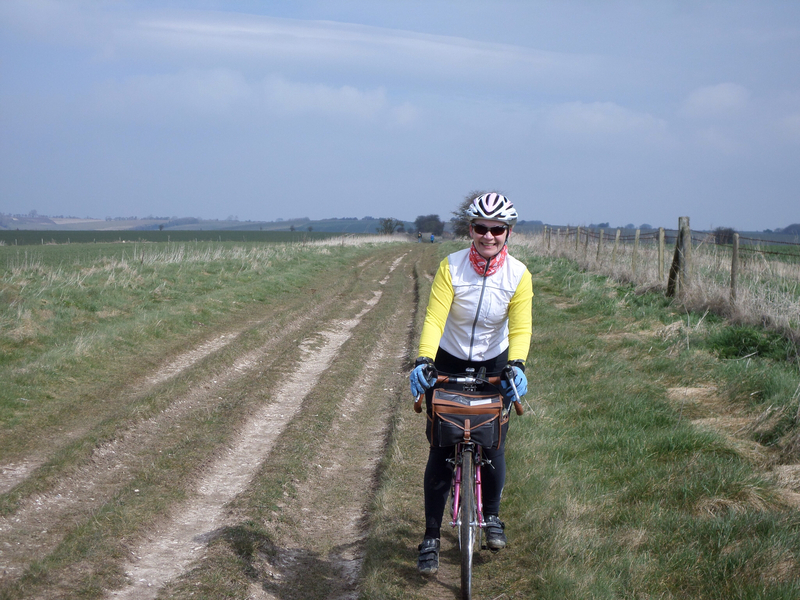 Now, it so happens that there is a sweet-spot with respect to highway maintenance in which S finds herself most comfortable - somewhere between deserted, tarmac'd cycle path and well-maintained quite country lane - so on an unpaved track with ruts and cowpats her bike handling skills were put to a stringent test . . . 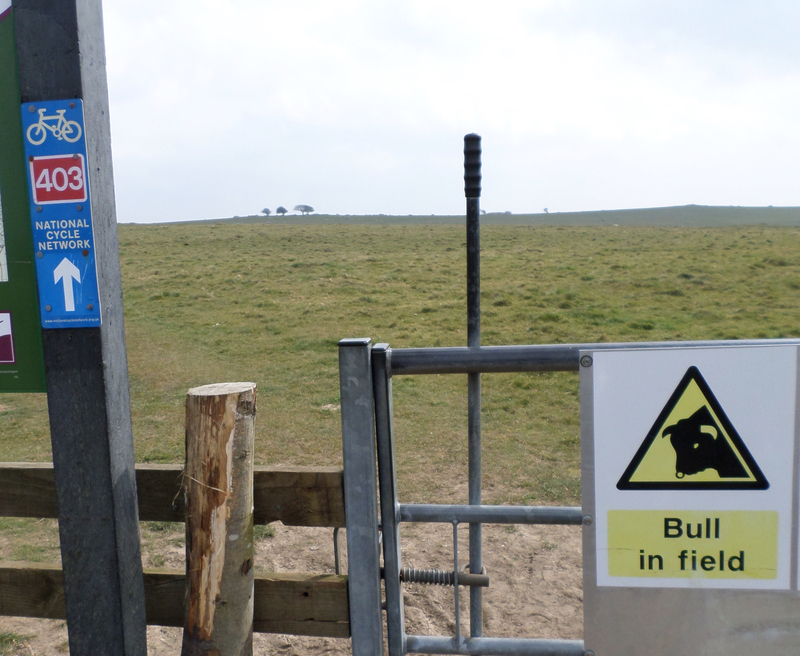 I did suggest an alternate route provided by those kind Sustrans folk, but S bewilderingly declined . . . 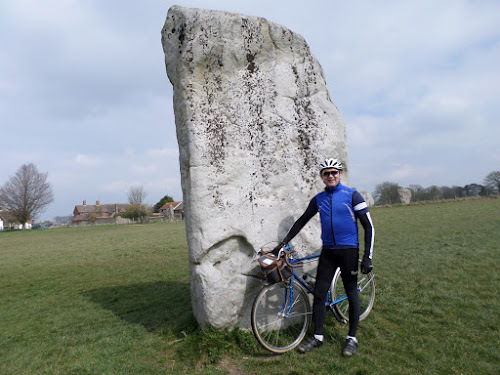 Eventually, we reached the village of Avebury, which we all know from secondary school history lessons as the site of the largest stone circle and associated ancient bric-a-brac. I did also learn how to make a neolithic pit dwelling and why the 'Beaker Folk' were so named, but that is by the by. The stone circle and associated motte were quite impressive. As we meandered through the ancient stones, feeling the druidic energy flow through us, I overheard some bloke (not a druid by the look of his North Face jacket) telling a bunch of tourists that the two type of stones on dispay were symbolic of 'male power' (the short square ones) and 'female power' (the taller oval ones). Quite how he gained this insight into the motivations of our bronze-age forebears, who left no written record of the stone's purpose, I have no idea; but hey, £5 on the door and I'd do the same . . . In any case, here I am exuding male power, albeit next to one of the 'female' stones because I took the photo before gleaning that gem of information . . .